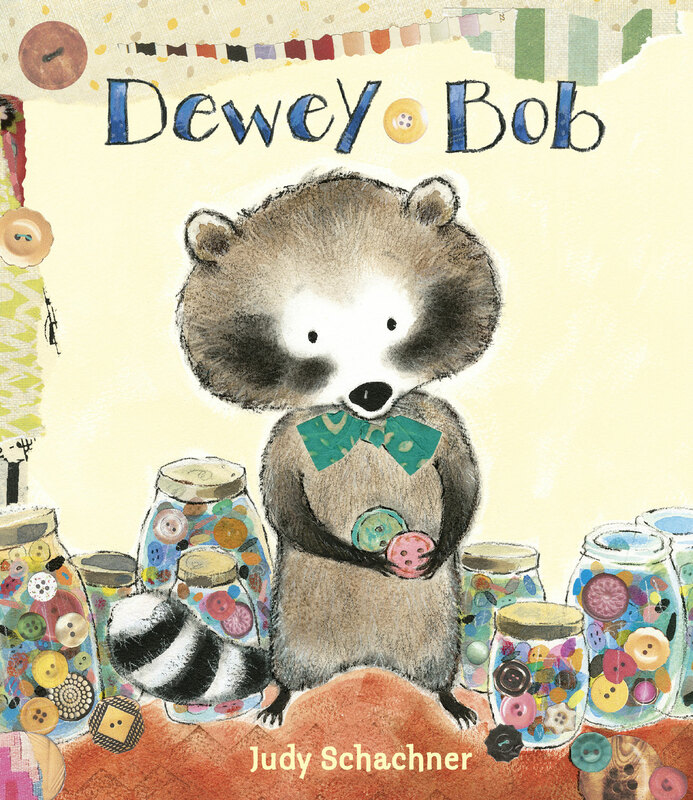 Dewey Bob Crockett is a durn cute raccoon who lives by himself in a house filled to the brim with the wonderful objects he collects. Buttons, wheels, furniture and bricabrac adorn his cozy quarters and keep him busy as he finds and fixes, turning trash into treasures. But there’s something missing from Dewey’s collections—a friend! He tries gathering up some critters and bringing them home in his shopping cart, but that doesn’t work out so well. In the end, a friend does come Dewey’s way, and, with a little DIY help from this clever raccoon, returns again and again.